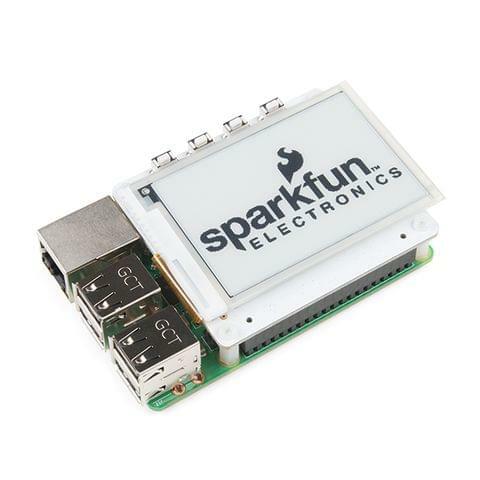 The PaPiRus Screen HAT from Pi Supply is an ePaper / eInk screen HAT designed for the Raspberry Pi. Think of it as the older sibling of the PaPiRus Zero. 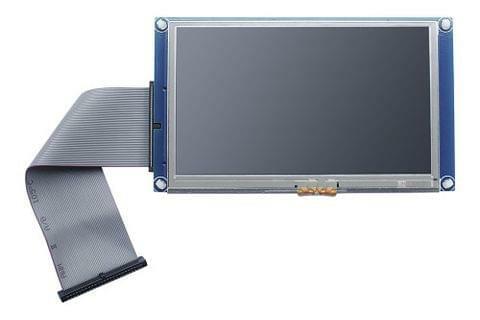 The PCB assembly has a lot of driver circuitry required to keep the display running smoothly as well as an EEPROM for HAT compatibility and easy plug and play operation with the Raspberry Pi. All signals are broken out to a 40 pin female header. 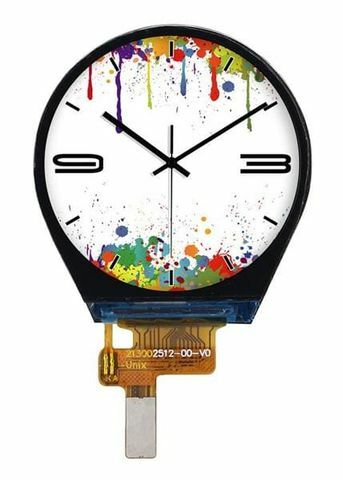 Also included is a battery-backed real time clock (RTC) with wake on alarm functionality via an optional reset pin and four optional slimline switches for maximum project versatility. The driver board can take either 3V3 or 5V power and logic control do this PaPiRus HAT will work with virtually any microcontroller or CPU, not just the Raspberry Pi. 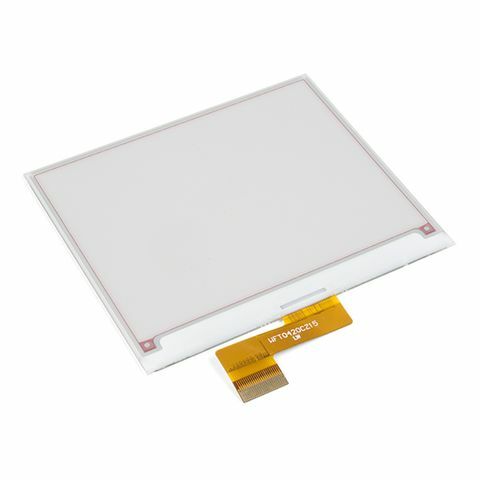 The ePaper display that comes with this PaPiRus HAT is a 2.7″ diagonal and 264 x 176 resolution ePaper display. These are intended for use as small dynamic signage in grocery stores since a barcode displayed on it can be scanned by a laser barcode-reader. 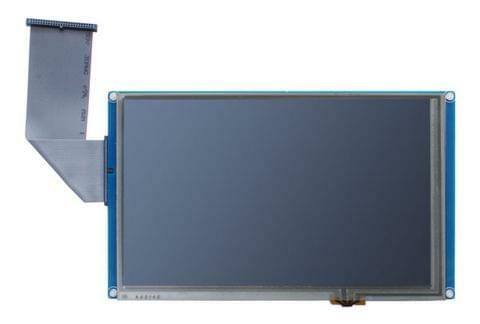 The display does not require any power to keep the image and will stay ‘on’ without any power connection for many days before slowly fading. Of course, it's also daylight readable and is very high contrast. 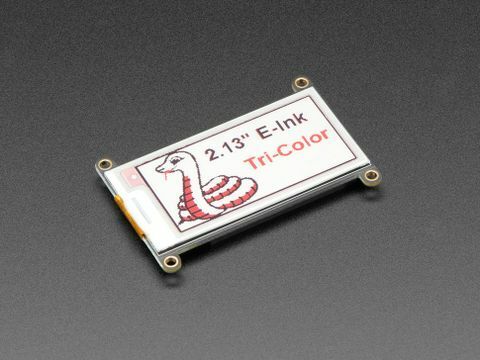 This makes it excellent for data-logging applications, outdoor displays, or any other ultra-low power usages. 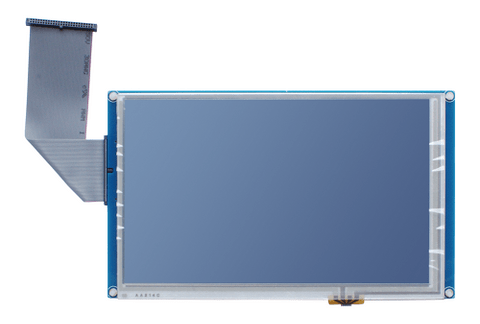 Just like a Kindle, you can read whatever is on your screen in daylight without any reflection. More information including wiring diagrams, datasheets & and links to example code are available at rePaper. 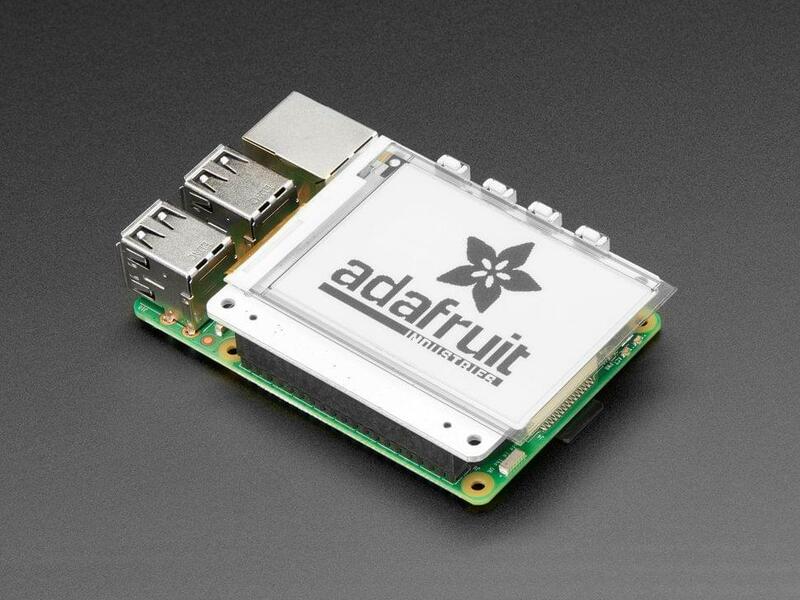 Compatible with Raspberry Pi Zero, A+, B+, 2B, and 3B (any 2x20 connector Pi). 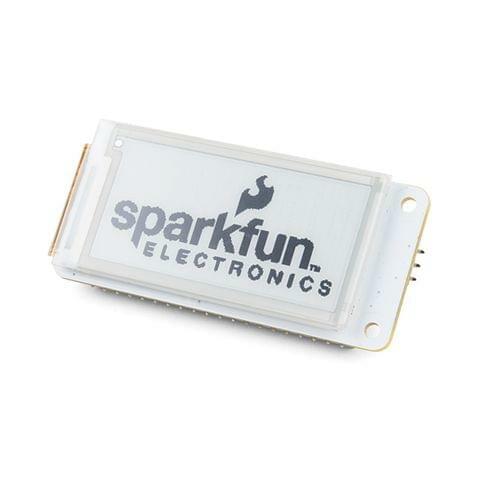 For a Pi Zero-sized pHAT, find the PaPiRus Zero here. 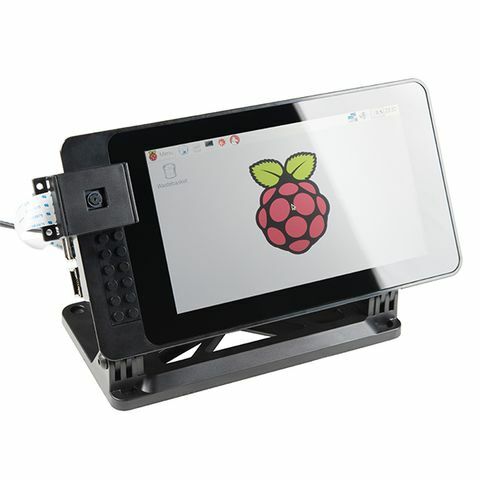 Note: Raspberry Pi computer not included! 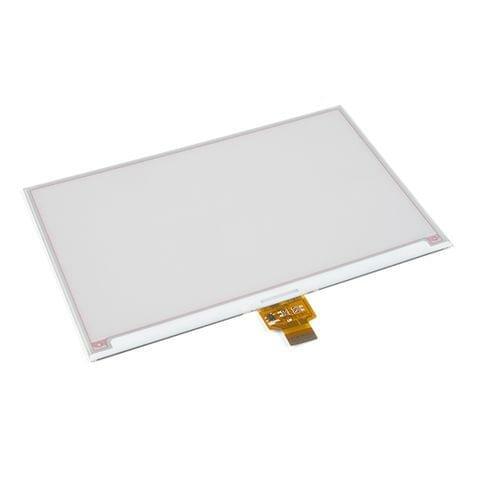 Board Dimensions: 65mm x 56.5mm x 9.2mm / 2.6" x 2.2" x 0.36"